Simon Jackman is a political scientist by trade but has a tremendous amount of experience in using Bayesian methods for solving problems in the social and political sciences, and teaching Bayesian methods to social science students. Part I: Introducing Bayesian Analysis. 1. The foundations of Bayesian inference. 1.2 Subjective probability in Bayesian statistics. 1.3 Bayes theorem, discrete case. 1.4 Bayes theorem, continuous parameter. 1.5 Parameters as random variables, beliefs as distributions. 1.6 Communicating the results of a Bayesian analysis. 1.7 Asymptotic properties of posterior distributions. 1.9 From subjective beliefs to parameters and models. 2. Getting started: Bayesian analysis for simple models. 2.1 Learning about probabilities, rates and proportions. 2.2 Associations between binary variables. 2.4 Learning about a normal mean and variance. Part II: Simulation Based Bayesian Analysis. 3.2 Inference for functions of parameters. 3.3 Marginalization via Monte Carlo integration. 4.2 Properties of Markov chains. 4.3 Convergence of Markov chains. 4.4 Limit theorems for Markov chains. 5. Markov chain Monte Carlo. 6. Implementing Markov chain Monte Carlo. 6.1 Software for Markov chain Monte Carlo. 6.2 Assessing convergence and run-length. 6.3 Working with BUGS/JAGS from R.
6.4 Tricks of the trade. Part III: Advanced Applications in the Social Sciences. 7.1 Data and parameters that vary by groups: the case for hierarchical modeling. 7.2 ANOVA as a hierarchical model. 7.3 Hierarchical models for longitudinal data. 7.4 Hierarchical models for non-normal data. 8. Bayesian analysis of choice making. 8.1 Regression models for binary responses. 9. Bayesian approaches to measurement. 9.1 Bayesian inference for latent states. Appendix A: Working with vectors and matrices. B.2 Probability densities and mass functions. B.3 Convergence of sequences of random variabales. Appendix C: Proofs of selected propositions. C.1 Products of normal densities. C.2 Conjugate analysis of normal data. C.3 Asymptotic normality of the posterior density. 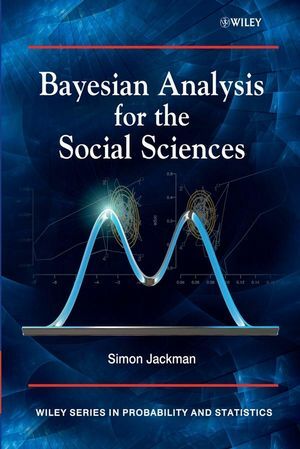 Bayesian Analysis for the Social Sciences Visit the companion website to access the software examples discussed in the book. Provides an introduction to Bayesian methods, specifically tailored for students of the social sciences. Contains many real examples from social science research. 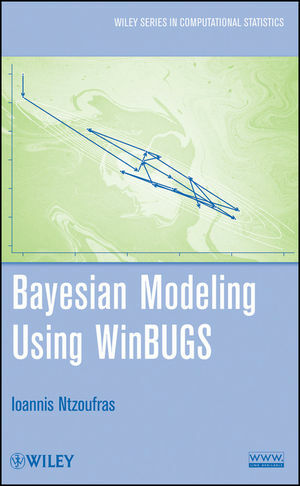 Includes software code for implementing the methods in WinBUGS and R.
Includes detailed definitions of key Bayesian ideas, assuming little background knowledge. Each chapter contains graded exercises to help further the student’s understanding of the methods and applications. Accompanied by a Website featuring WinBUGS and R code, and data sets.